Truly MOVE IN READY villa in Woods at Anderson Park! THREE bedrooms, two full bathrooms, 1 car attached garage. HVAC 2016, new thermal, tilt-in, Cat-5 rated windows installed in May. Newer Anderson storm door. Beautiful neutral tile throughout. Vaulted ceilings. 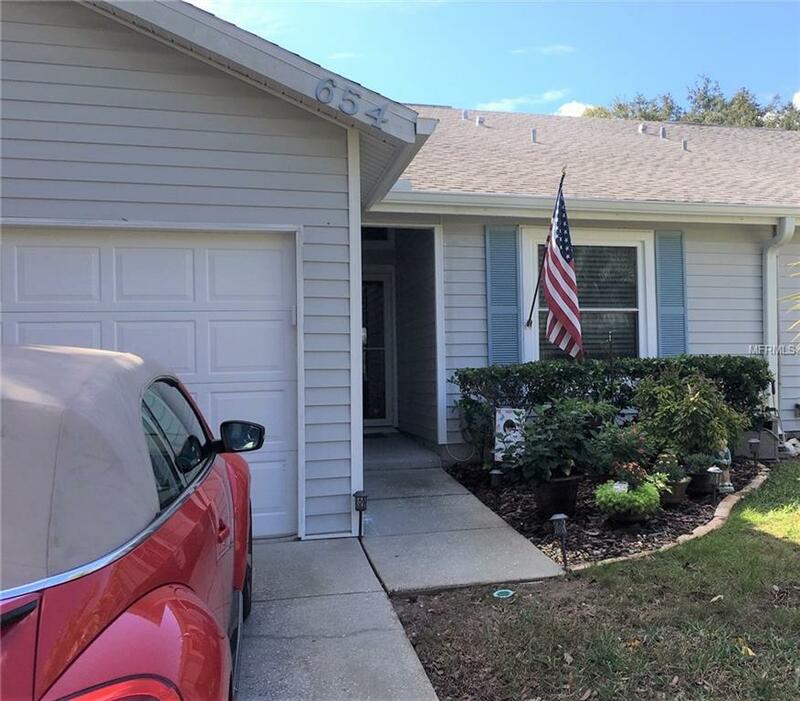 Spacious updated kitchen has stainless appliances, GRANITE countertops, WOOD cabinetry, COFFEE COUNTER with additional storage, closet pantry and room for a breakfast table. A skylight keeps the kitchen light and bright. Generous size great room easily accommodates over-sized furniture and a full-size dining table. Spacious master bedroom can accommodate a king-size bed and has a good-size walk in closet, remote-control ceiling fan and its own bathroom with step-in shower. The guest bedroom has a ceiling fan and ample closet space. Hall bath has a shower/tub combination and updated vanity. The third bedroom has a double door entry. This space would also make a perfect den, home office or craft room. Indoor laundry space can accommodate a full-size washer and dryer. Pleasant screened back porch has wood plank tile, bead board and new blinds. This villa is fee simple ownership, not condo ownership like some villas in The Woods. All-ages community with indoor pool, fitness room, library and a banquet room with full kitchen. Convenient gated back entrance off Disston Avenue makes for easy access to all things "Tarpon" and its burgeoning downtown! Additional Lease Restrictions Confirm With Sentry Management. Pet Restrictions Confirm With Sentry Management.